Guys. 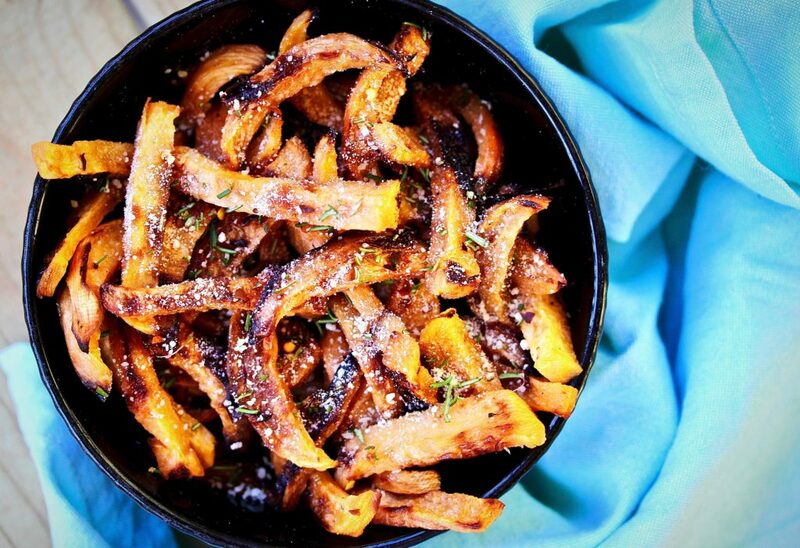 Rutabaga Fries are AMAZE. They’re just so good. Why haven’t they been a thing before? No. Let’s not dwell on the past, but instead relish in the future!!! Wait. Stop. Hold up… Are we all up to speed on the rutabaga? How silly of me to steamroll. My sincere apologies. Quickly we discuss the rutabaga . hold please for food nerdage. So. Rutabagas are a cross between a turnip and a cabbage. 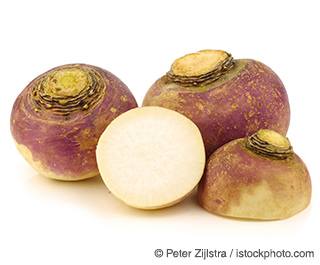 The rutabaga is much sweeter and larger than the turnip, but has a similar shape. Rutabagas are loaded with vitamin C, B6, fiber… and they’re coated in paraffin wax when brought to the grocery stores to prevent dryness. The sweetness and tenderness of a rutabaga is not dependant upon its size… so no worries if you’re stuck with a couple smalls, a medium and a biggie. Size does not matter here. You’ve seen them before, but probably overlooked them because, well, they’re waxy wonky craggy beige balls. Also, the produce department likes to shame them by throwing them in the nose bleed section next to the long beans and radicchio. BUT! They’re delicious and super healthy and if you’re a person concerned about carbs and such, a MUCH better alternative to a potato. Not that the Rutabaga needs to be pitted against the Potato. Ugh, look at me – starting a feud. One cup of boiled rutabaga is about 50 calories and about 9 grams of net carbohydrates. One cup of boiled potato is about 135 calories and about 38 grams of net carbohydrates. 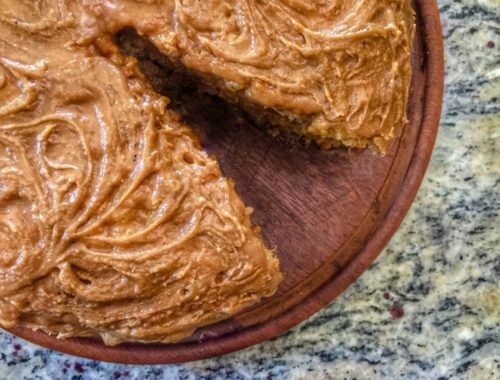 So, yeah… if you’re a person concerned about carbs and such, that’s pretty significant. Plus, they have a really cool, slightly sweet, slightly spicy (in a radish kinda way) flavor that mellows when you cook, and leaves you with this fun flavored new veg! OR this new fun way! Oh, right. Dangit. I promised I’d talk about chuck eye steaks. Chuck eye steaks are very close to a ribeye steak (in fact, some refer to them as ‘the poor man’s ribeye), as both steaks are cut from the ribs of the cow. They only differ in the exact rib area from which they come. Ribeyes are cut from the 6th to the 12th rib of the cow, and Chuck eyes are cut off the 5th rib. That’s right – just the 5th rib, meaning only 2 chuck eye steaks are available from each cow. So, they’re pretty hard to come by (sometimes butchers like to snag ’em for themselves, if they didn’t F up their butchering and slice right through it). The 5th rib is getting closer to the shoulder (a.k.a the ‘chuck’) of the cow, so it’s moving away from the most tender and into the more tough / overworked muscles, but it’s still in a prime spot. This is not to be confused with ‘chuck steak’, which is quite tough. Chuck eye steak is a totally different thing than chuck steak. You’ve got about 3 inches of super tender steak property before it goes into ‘we gotta marinate the heck out of this piece for it to be chewed’. Chuck eye steaks are HALF THE PRICE of a ribeye. And factoring that math into the equation, I’m just gonna say the flavor is remarkably same-same. Hey!! Isn’t finding new things fun??! Isn’t celebrating hidden gems and underdogs just the best??! Isn’t stepping outside of your predictable box super freakin’ awesome??! I’m risking a lot here by schooling you on one of my favorite and rare things in the world. I’m starting to perspire at the notion of you sharing my grocery store and buying the chuck eye steaks before I can get in there. But, this, my friends, is what true love is all about. Also ‘don’t judge a book by it’s cover’ veggies. So, next time you’re in the grocery store, don’t just go in for the greatest hits. Take a second to pause and look beyond the asparagus and green beans, the filet mignons and NY strip steaks, and try something that you haven’t before. Chances are you’ll be extremely satisfied. Peel your waxed rutabagas with a good vegetable peeler than can take off all the wax and the skin. Then (carefully), slice each half, lengthwise into disks about 1/2 inch thick. Once you have all your disks, stack them, then slice them into fry shapes! Drizzle with more oil – light olive oil or canola is fine for roasting. Make sure the veggies are all coated in oil. Roast in the 425 oven for 20 minutes. Remove. Shake, toss and shimmy. They should have some color on them. If so, season liberally with kosher salt. Place them back in to finish roasting… check them after 5-8 minutes, but keep a close eye on them bc I don’t know your oven..
You want them to look like fries! Taste one! Adjust the salt as necessary, and when they’re cooked to your liking, sprinkle them with some fresh chopped rosemary, red pepper flakes and grated parmesan cheese. I’ve never eaten a rutabaga in my life (though Carl Sandburg’s _Rootabaga Stories_ was my favorite book to read to my kids.) But now I most certainly will. Thanks for this, Abbey.